Recently it was the talk of the town and just after a week it seems it has become yet another story that we read with our morning coffee and easily forgotten. Im tlkn abt the shornur train incident. We all wailed abt the system and for d martyr of societys negligence for a while(or for the sake of it) and its al old story now. May be if this article helps the few people who read it to remind abt the incident n if im able to make it linger a bit longer in ur mind il be successful in my motive. Though we call ourselves gods own country and us the ‘advanced’ people it reminded us dat how we are still a crude bunch of people who are reluctant to attend to a helpless girls cry. The question everywhere was how safe is our train for women. If even at an early time that too with a crowd of mighty men just few feet away a girl was slaughtered how are we going to call us civilised. So its almost a fixed fact now that we cannot expect neither the people around or the railway to take some actions themselves. The incident tells us something else too. The phone you carry with you all the time can be used for other thngs more helpful than texting ur frnds. It can turn to be ur saviour when required. - You need to hav the railway alert numbers stored on ur phone. So if ever u feel unsafe in a train don’t hesitate to make a cal, an action at right time can make a lot of difference. 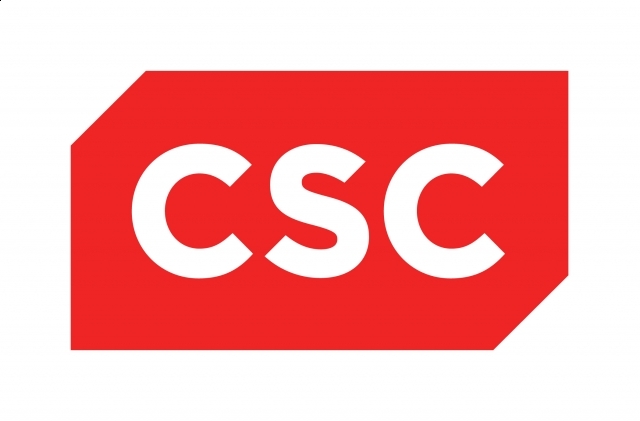 Today in London, our two companies announced plans for a broad strategic partnership that combines the respective strengths of our companies and builds a new global mobile ecosystem. The partnership increases our scale, which will result in significant benefits for consumers, developers, mobile operators and businesses around the world. We both are incredibly excited about the journey we are on together. So what is Live Commenting? If you are a regular user of Facebook, recently you must have noticed that comments are getting posted faster. But it does not get updated at the same time, previously it was like you had to click on 'Comment' and wait for some time for it to get updated(On slow connections). But now it gets updated instantly, but in fact it gets registered on the site only after a slight delay, often neglected. 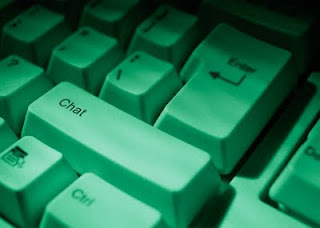 Another feature is that the comments get updated live, as in a chat. Now you can keep commenting as in a conversation. That's really fast for a Social Network website to do. 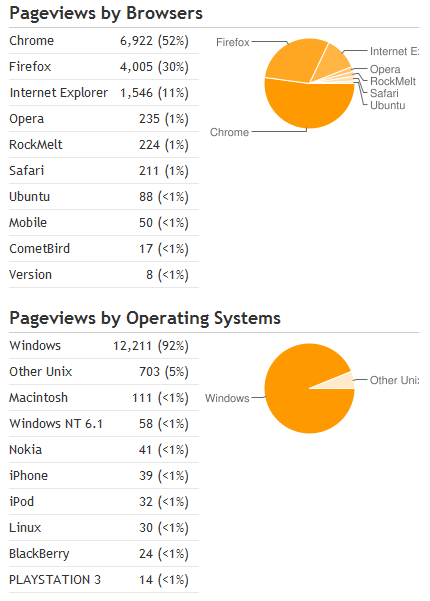 Just wanted to share the statistics of Browsers and Operating Systems I found on my site as of date 4/2/2011. I started this blog late in October 2010, and have about 13000 views, I know its not much to make an in depth analysis, but this is how it turns out to be. Apparently the chart makes it clear that Windows is still unrivaled with above 90% of views on my blog being done from a Windows Operating System. Linux Operating System occupies 5% of the views. I'm surprised to have even more Operating System's on my page view list. Mac OS has about 111 views, which I probably think would've come from my Lockerz friends in US. Apart from this, Ive got hits from Mobile Operating systems as well, including iPhone and Blackberry. And to my surprise even Playstation 3 - proud to know that a variety of people have actually bothered to click on my blog. The Browser statistics are more diverse compare to Operating systems. Around 52% using Chrome, apparently the best browser around. A slight modified version of Chrome - Rockmelt has a share of 1%(224 views). Firefox holds the second position with 30% and Internet Explorer is pushed down with a mere 11%. All the other browsers hold less than 1% of the share. Messengers have been around for really long now, I still remember using Yahoo Messenger while I was back in 9th Grade. Then came Gtalk which is the most used messenger nowadays. I never got much into Windows Live Messenger though, from what I have heard, its awesome too. But all these messenger's basically allows you to chat with people you know, mostly friends and family. But a great deal has been changed since the launch of Facebook. Atleast 50% of your friends will not be personally knowing you, its not the same for all. But definitely for me, almost 80% of the my friends on Facebook are not 'real' friends, they are online friends. And I have communicated with tons of strangers as well. So what's the difference in talking with your friends on a Messenger and talking to a total stranger on Facebook. One point to be duly noted on Online chatting is that, people don't see your face, and have no idea the emotion you are in. Words can be easily misinterpreted, words of joke can be taken serious - even ending a relation. Even the way you type depicts your personality and approach towards your friend. But people seldom care about all these, and specially newbie's, they tend to make public posts, which would completely shatter their personality. You should take lot of care while posting in a public community, different people interpret things in different ways - as the saying 'Beauty is in the eye of the Beholder'. Your comment maybe taken as absolutely absurd, stupid or irrelevant. Its important on how you present your ideas, words of love maybe mistaken as words of anger, ending a whole nice friendship. I would like to quote down a few points that you should keep in mind while making public posts. These are my own observations and can be wrong, please feel free to correct me. Yes, you heard that right, how would it be if a class was scheduled to be on Facebook? That's what has happened recently at America University. Wish our teachers, any of them would try to implement the experience narrated by R.S. Zaharna, an associate professor of communication at American University. His class was cancelled due to storm, but R.S. Zaharna made an improvisation in his class, making it an interactive one, on the Facebook Community of his class - AU International Public Relations/Communication. You can scroll down to see how students have responded to the Facebook class, let us read through his experience. WikiLeaks have been spreading chaos all over the world recently, even the arrest of Jullian Assange has been highly popularized. Well, do you think WikiLeaks have done the right thing so far? Here is what Snorre Valen, Member of Parliament thinks about WikiLeaks, and why he nominated WikiLeaks for Nobel Peace Price. It is always easier to support freedom of speech when the one who speaks agree with you politically. This is one of the “tests” on liberal and democratic values that governments tend to fail. For instance, western governments have a long history on tolerating oppressive regimes that are “friendly-minded”. Internet companies assist China in censoring search engines. And many countries respond to Wikileaks‘ obvious right to publish material that is of public interest, by seeking to “shoot the messenger”. Publishing material that is deemed classified by the government is an obvious right that newspapers and media have practiced for many, many decades. This way, the public has become aware of abuses of power that governments should be held accountable for. The internet doesn’t change this – it merely makes information more accessible, easier to distribute, and more democratic in the sense that virtually anyone with an internet connection can contribute. Now I found this really interesting article on engadget.com, Google is accusing Bing for 'Cheating'. Google Blog later posted a detailed article regarding this. I felt funny reading it, felt like school students trying to copy on their neighbor's answer sheets to get good marks. Well, Bing has been caught now, and very cleverly done. Checkout how it was revealed. You could say Bing is taking a cue from its competition, but it seems to be more literally taking search results as well. Google Fellow Amit Singhal is claiming so much and has provided some amusing (if not totally clever) results from its "Bing Sting." Here's how it works: find a search term that returns no matches for either site, make a "honeypot" page manually appear for the term, then have about 20 Google employees make the search (and click the top link) using Internet Explorer with both Suggested Sites and the Bing Toolbar on. Within two weeks, Singhal claims, a handful (about 7 to 9) of the 100 or so "honeypot" results were popping up in Bing. Bizarre choices, too, like mbrzxpgjys, hiybbprqag, and indoswiftjobinproduction. Google Blog posted the following snippet recently, Technology is coming together to help the people in Egypt and to make clear their struggles. Hope this reaches to Egyptians as well. Well done Google, Twitter and SayNow. This is the paper on General aptitude. This paper is very very important as far as ones selection is concerned. you have to be very fast and accurate and U have to score at least above 80 to be selected for interview. The criteria for the test was 60% throughout in 10th,12th, grad and MCA upto IVth sem.Here about 150 students sat for the test and 15 were short listed for the interviews. So you can see the degree of the competition.The company is good and work hard U can get through. Start practicing Mental ability from RS Agarwal Specially PUZZLES,NUMBER SERIES,MIRROR IMAGE,3D and FIGURE SERIES. Though I am sending U the technical paper also but that will be available to almost all of U and so that is not so important for selection.Just attempt about 60 questions out of 75 in that paper. I guess almost all of us knew when Obama landed in India, or even Bill Gates lands on our land, but the most popular person in the world right now(With his own world called Facebook) had spent time in India, and not many knew about it. A few sites realised this fact and even put up a contest in which Money would be offered to anyone who provided snaps of Mark Zuckerberg. His story is being wild spread through the movie The Social Network which has hit millions of hearts. "I'm in India this week for vacation. I'll be attending a good friend's wedding and checking out a few cities while I'm here." And apparently he enjoyed the time in India. Even more pics were spread on the net, in which Mark Zuckerberg shook a leg on the marriage. Head of Security - Kaspersky HACKED! Facebook is evolving everyday, from a Social Network platform, it launched the Facebook email recently. And now its getting ready to go bigger. Facebook is now offering certain attractive offers from certain firms in UK. This is how Facebook put launched the feature. 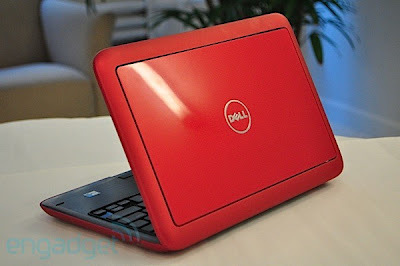 That's the new Dell Inspiron Duo, which looks exactly like a Netbook, and performs pretty well too. 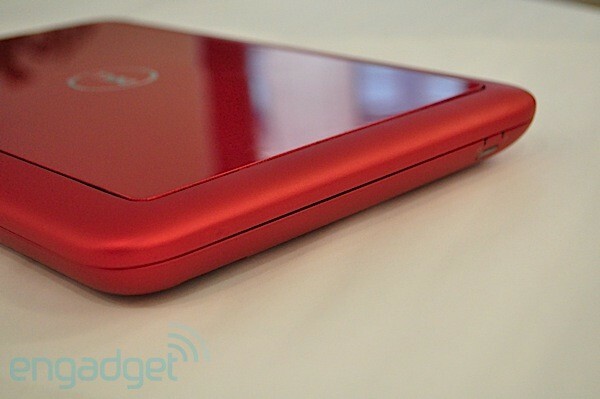 Powered by a dual-core Atom N550 processor, with 2GB of RAM, and Broadcom Crystal HD accelerator, the specs look decent too. Heading towards the software it runs on Windows 7 Home Premium and Dell's new Stage interface, priced at a high amount of $550! Hold on, 550$ - isn that a bit high for a netbook, which of course has an awesome red colored attire and all the normal features of a Netbook. Well, this is just half of what the gadget is ought to be. 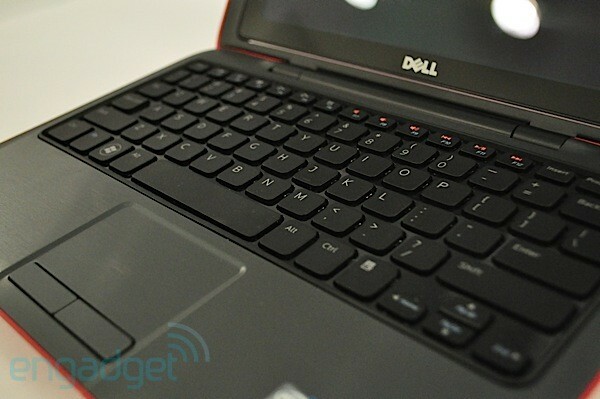 The looks are awesome, with a standard keyboard, glazing laptop head. So any guesses on what the surprise is? Make a guess, and scroll down to see the next pic. Hold your breath! It's true!